Go to our Homepage under About Us , then click on Project RFP’s to see the detailed information on these bid requests. 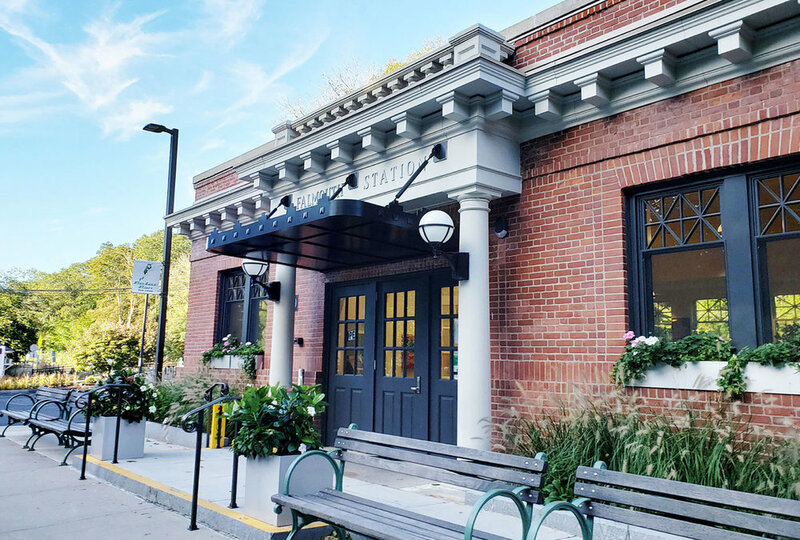 In 2015, the Falmouth EDIC entered into a long term ground lease with Mass DOT to acquire and renovate the historic Falmouth Station located at 59 Depot Avenue. 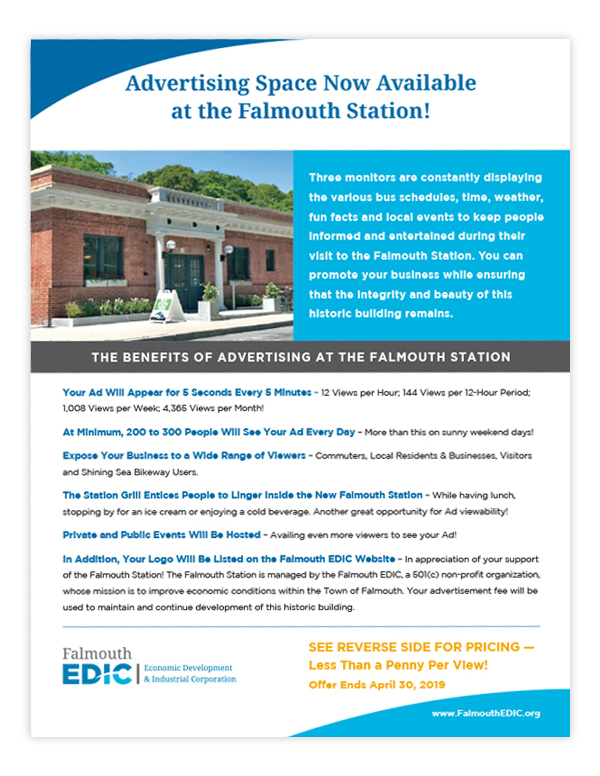 In conjunction with the lease, Mass DOT provided the Falmouth EDIC with a $1.4 million grant to renovate the Station. With the help of its members, local representatives, local business leaders and Mass DOT, the project was completed in the Spring of 2017. 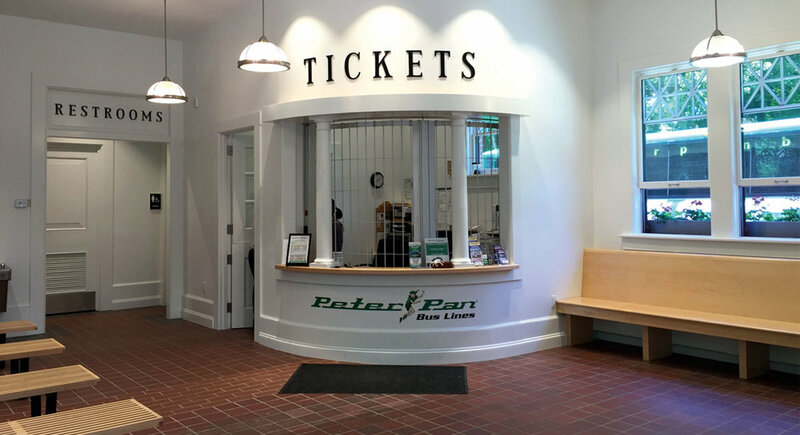 Peter Pan Bus runs from Woods Hole and the Falmouth stations to Boston, Providence and New York with many convenient stops along the route. CCRTA provides daily bus service, Monday through Friday, from 5:30 a.m. to 10:20 p.m, and Weekends from 9:30 a.m. to 10:20 p.m. leaving downtown Hyannis at the Hyannis Transportation Center traveling to the Falmouth Mall. The Whoosh Trolley, travels from the Falmouth Mall, down Route 28, and turns onto Woods Hole Road, to the Steamship Authority. Passengers of the Whoosh Trolley can conveniently transfer to the Sealine throughout the day at the Falmouth Mall. Passengers may board the Trolley at any of the scheduled bus stops or they may flag the bus down anywhere along the bus route. ADVERTISING SPACE NOW AVAILABLE AT THE STATION!